The crystals were potassium chloride, KCl. 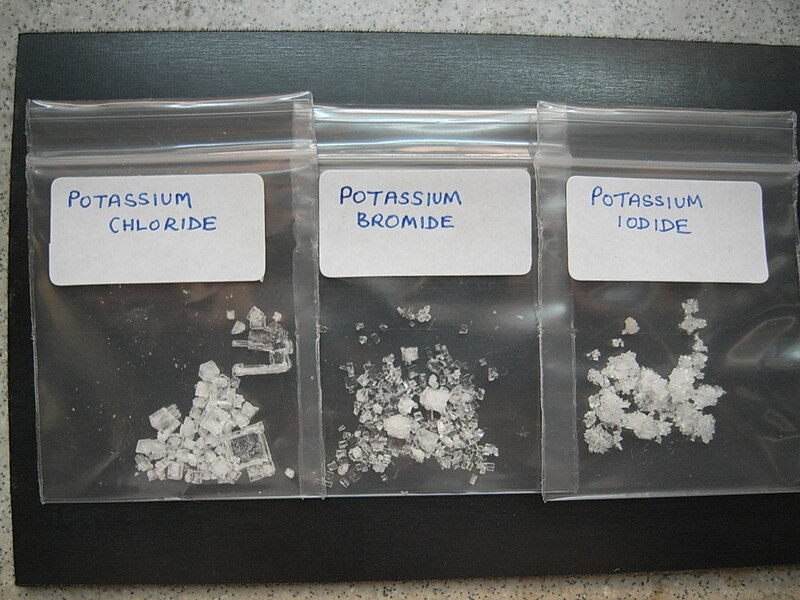 Here is another picture of three potassium salts; potassium chloride KCl, potassium bromide KBr and potassium iodide KI. All three are white, crystalline, ionic solids. What is interesting is their shapes, the first two are cubic, whilst potassium iodide crystallises as tufts of finger-like spikes. What would you predict about the colour and shape of sodium chloride NaCl, sodium bromide NaBr and sodium iodide NaI?